Struggling to understand why and how to use LinkedIn to promote yourself or your organization? Struggle no more. 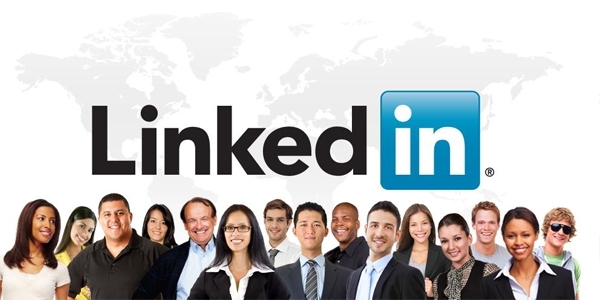 LinkedIn is a great way to connect with colleagues, customers, clients, job applicants, and vendors. 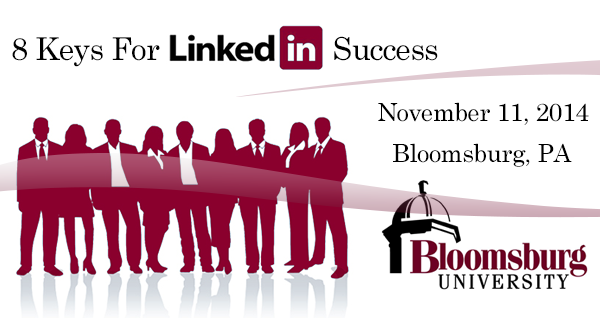 Learn why LinkedIn is important for business and how to market yourself and your organization using LinkedIn. Learn to use and leverage LinkedIn Forums and how to optimize your personal and organizational page profiles. Come join us. We will help you understand LinkedIn etiquette and good LinkedIn networking techniques, and how to most effectively leverage LinkedIn groups. The Valley comprises two counties in the heart of Pennsylvania – Mifflin and Juniata- with a population of approximately 70,000 and a diversity of large and small businesses. The Valley, while primarily rural in nature and with all the beauty and serenity of nature and country living, is within the densely populated Northeast Corridor and just a few hours from major metropolitan areas. There are many quaint towns and villages, and the Juniata River. Juniata and Mifflin Counties each have county airports and commercial air travel is available at either the University Park Airport in State College or the Harrisburg International Airport less than an hour east. Learn more here. Mark A. Griffin, is the Founder and Chief Consultant of In HIS Name HR LLC, a human resources outsourcing and career-coaching firm. Mark serves as President of In HIS Name HR. In HIS Name HR is a Human Resources outsourcing and business-consulting firm created to help organizations pilot the complex issues of managing HR. As a human resources professional with 25-plus years of experience in both public (Quaker Oats Company, Merck Inc.) and private companies (Conestoga Wood Specialties, Valco Companies Inc.), Mark is passionate about building high-performing workplaces utilizing best practices and helping organizations with strong values lead successfully and responsibly. Mark will inspire you to develop your company and personal web presence through the use of the powerful social media tool LinkedIn. In HIS Name HR LLC has a built a strong web presence with over 2500 Facebook followers, 25,000 Twitter followers and 2600-plus connections on LinkedIn. Mark applies his more than two decades of human resources expertise to help companies pilot the complex issues of managing HR. Thank you for attending our recent workshop. We would love to work for you or others in your network. Many people ask why work with In HIS Name HR? Because we help you achieve success through your most valuable asset—your people. And, no matter what your business is, the odds are we have experience in it. We have worked with companies from around the world in all sorts of industries, from light manufacturing, furniture manufacturing, pharmaceutical manufacturing, distribution, software development, residential construction, commercial construction, food companies, entertainment companies, and even senior care and senior care medical centers. We even have extensive experience working in the non-profit world of ministries and churches. We have the specialized skills and breadth of expertise to develop and lead your initiative, saving you time, money, and resources. To learn how we saved one organization over a Million dollars in benefit expenditures Click here. With our vast experiences in many industries we will create the HR programs that will drive excellence. Contact us today. You will be glad you did. Come join us. 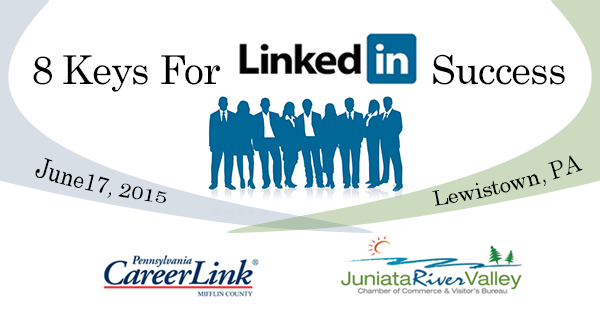 We will help you understand LinkedIn etiquette and good LinkedIn networking techniques, and how to most effectively leverage LinkedIn groups. This course is pending possible HRCI credit approval. Business Women’s Forum (BWF) is a day-long annual conference geared towards women professionals. The 2014 event marked Business Women’s Forum’s 20th year! The Forum is a product of two Chambers of Commerce working together; the Greater Carlisle Area Chamber and the West Shore Chamber. 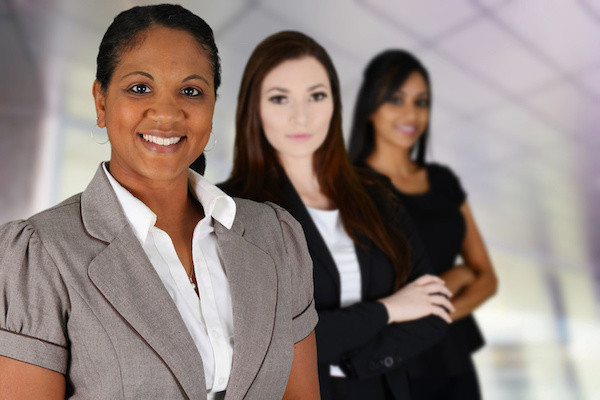 Their mission is to provide opportunities for business women of all professional levels to network, create business contacts, and develop additional leadership skills in a motivational and supportive environment. Not a Appalachian Healthcare Human Resources Society member but want to attend? Please Email Denise Garman. First known as AHPS (Appalachian Hospital Personnel Society) the Appalachian Health Care Human Resources Society (AHCHRS) was founded on February 15, 1967. Initially the group of hospital HR professionals was small, wrestling with such new issues as enactment of the Civil Rights Act, Title VII and OSHA. The intent then is the same as it is today, to address both the routine and the unique issues that face healthcare HR professionals and to further develop the profession of human resources in healthcare. Today AHCHRS is a working organization of committees and membership close to 100 participants. 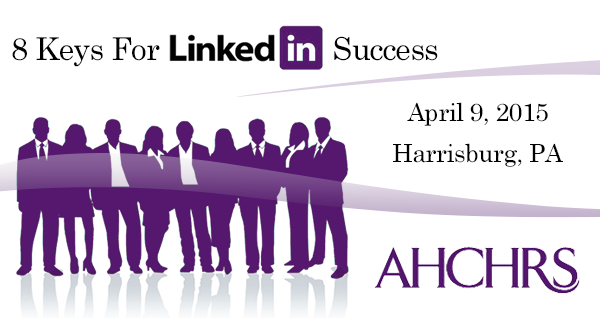 AHCHRS is a regional chapter of the Society of Human Resources Professionals in Pennsylvania (SHHRPP) and a local chapter of the national organization American Society of Healthcare Human Resources Administration (ASHHRA). Members enjoy networking and interacting with professionals representing all aspects of the multi-faceted health care environment. Struggling to understand why and how to use LinkedIn to promote yourself or your business? Struggle no more. LinkedIn is a great way to connect with customers, clients, and vendors. 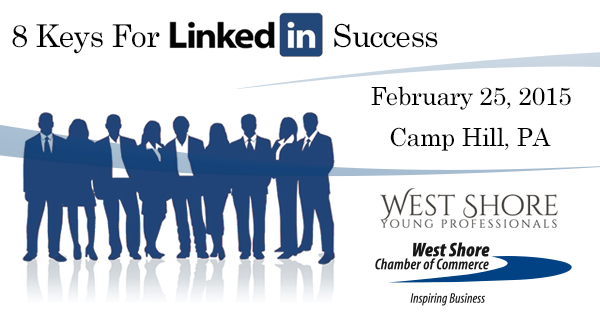 Learn why LinkedIn is important for business and how to market yourself and your organization using LinkedIn. Learn to use and leverage LinkedIn Forums and how to optimize your personal and organizational page profiles. Mark A. Griffin, Founder and Chief Consultant of In HIS Name HR LLC, a human resources outsourcing and career-coaching firm. Mark will inspire you to develop your company and personal web presence through the use of the powerful social media tool LinkedIn. In HIS Name HR LLC has a built a strong web presence with over 2500 Facebook followers, 25,000 Twitter followers and 2600-plus connections on LinkedIn. Mark applies his more than two decades of human resources expertise to help companies pilot the complex issues of managing HR. 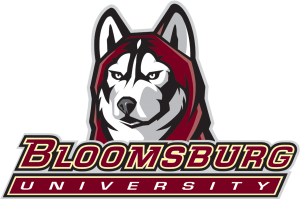 Mark A. Griffin – Mark is a MBA Alumni of Bloomsburg University of Pennsylvania. He is the Founder and Chief Consultant of In HIS Name HR LLC, a human resources outsourcing and career-coaching firm. Mark leverages his more than two decades of Human Resources expertise to help companies pilot the complex issues of managing HR. In HIS Name HR LLC has a built a strong web presence with over 2500 Facebook followers, 25,000 Twitter followers and 2600 plus connections on LinkedIn. Mark will inspire you to develop your company and personal web presence through the use of the powerful social media tool LinkedIn. Can LinkedIn assist you in growing your business? Can LinkedIn help you accelerate achievement of your career goals? The Wall Street Journal recently conducted research regarding small business owners and their usage of social media in growing their businesses. Of the 6 in 10 small business owners who use a variety social media tools, 41% believe that using LinkedIn has made a positive impact on their business. Make a positive impact on your career and your business. 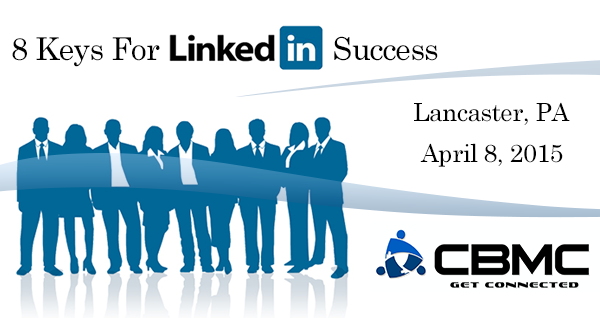 Come learn 8 keys for LinkedIn Success. Mark A. Griffin – Mark is the Founder and Chief Consultant of In HIS Name HR LLC, a human resources outsourcing and career-coaching firm. Mark leverages his more than two decades of Human Resources expertise to help companies pilot the complex issues of managing HR. Download the flyer for contact information!